Clover in 3rd place in the Toggenburg Dry Yearling Class. It was very close between her and the 2nd place doe. 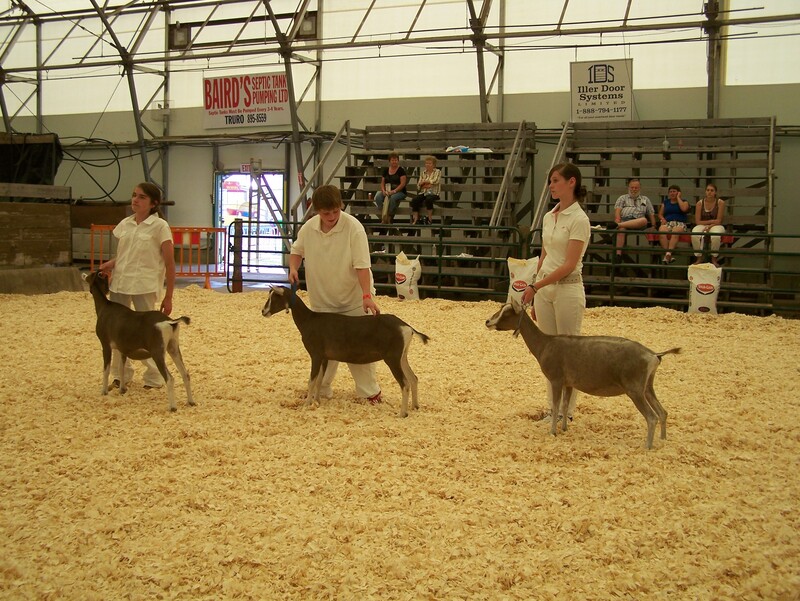 This year we entered the Goat Association of Nova Scotia’s Summer Classic Open Doe Show for a second time. The show took place on August 21, 2013 at the Nova Scotia Provincial Exhibition in Bible Hill, and was judged by James Bennett. 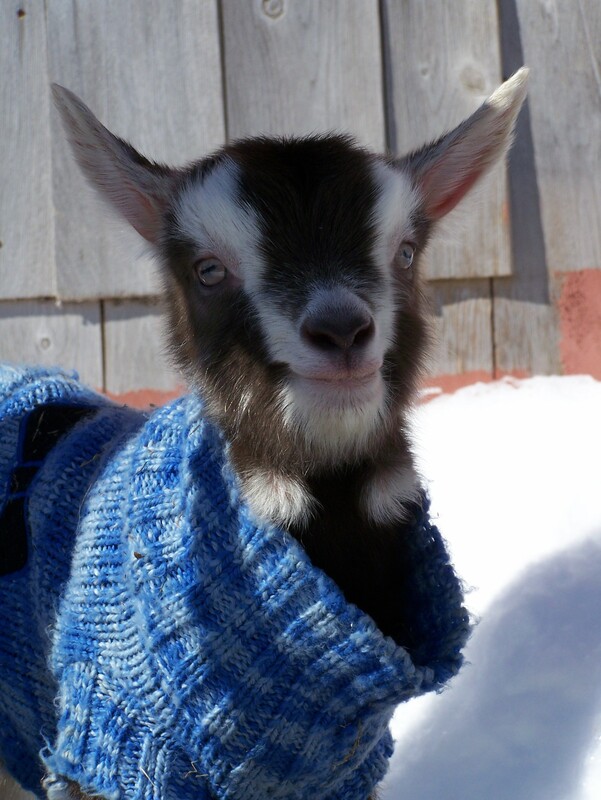 This particular show was an official Canadian Goat Society (CGS) Sanctioned show. Sam decided she would again take her first and most favourite goat, Rocky Mount Loot Spirit (Spirit) as a milking doe entry, and her new dry yearling, Tip Top Cocoa Cream (Clover). 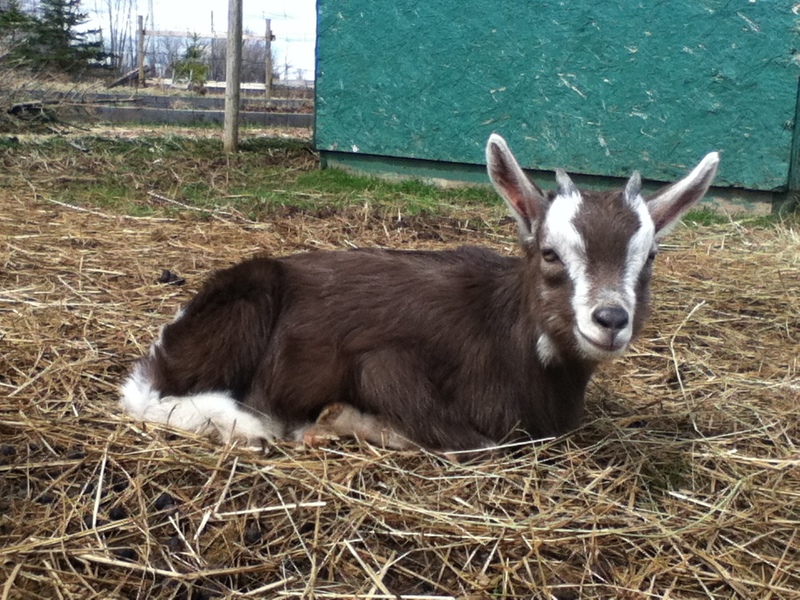 This was just the second time that the Summer Young name was going to be hung from the rails of Sam’s goat pen at a show. The day before the show she spent all day bathing the goats and touching up their coats with pocket clippers. Sam did her best work for this show because she knew it was the biggest one she was competing in this year and that there was a lot of difficult competition. Goat breeders from all over Nova Scotia and New Brunswick came to this show every year, making it a very diverse show with lots of different breeds of goats. Dancer and Trinity hiding around the corner of the doe house. 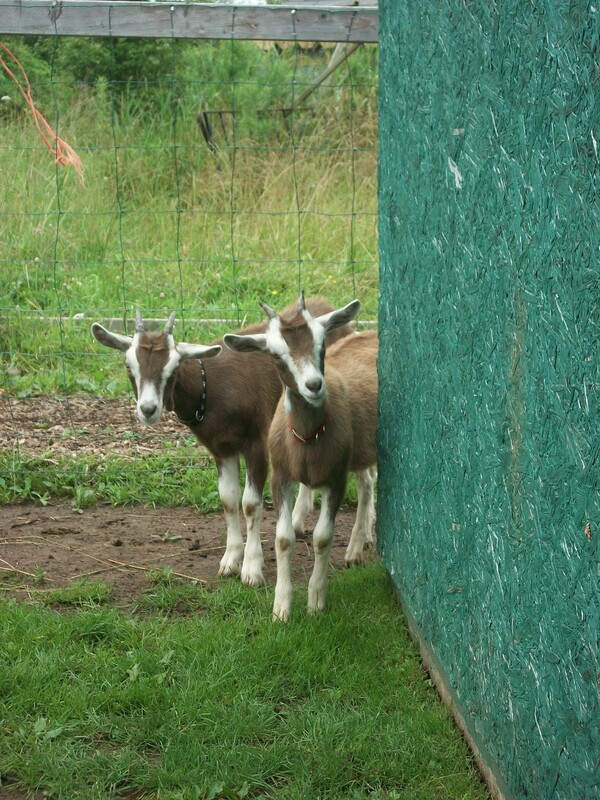 Well, long story short, we bought two more goats. This goat thing is turning into a serious addiction.